Given the thousands upon thousands of superb portraits that exist—and the hundreds that are arguably no worse than this one—it may seem "U.S.A.-centric" of me to choose Alexander Gardner's portrait of Abraham Lincoln to stand for all portraits. Yet there are good reasons for the choice, I think. 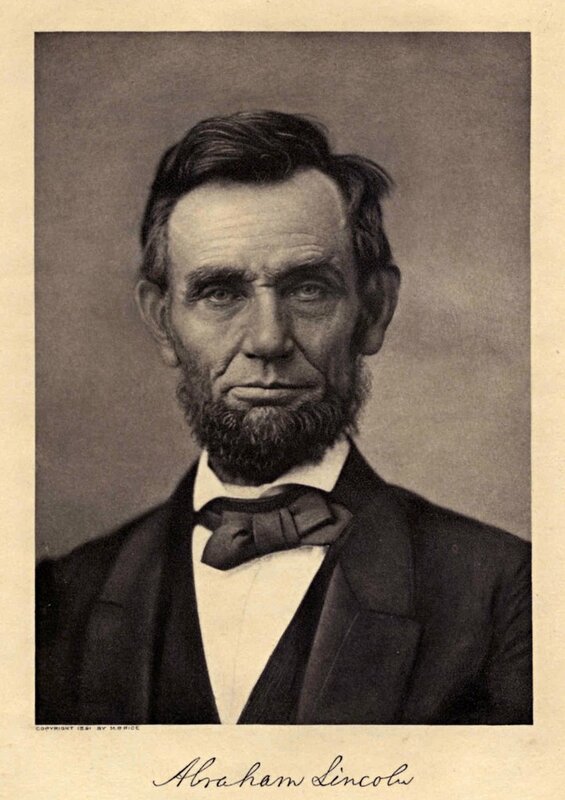 Lincoln's is surely one of history's most interesting faces. 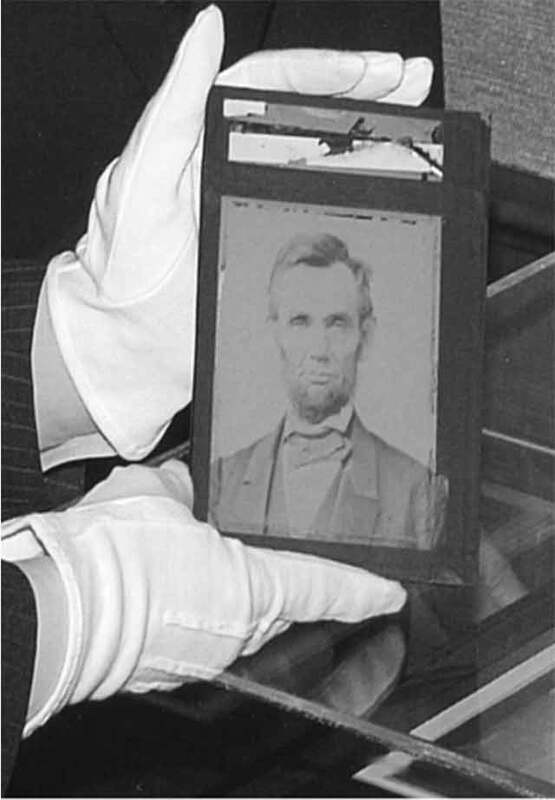 He may not have been the first great American to have his portrait taken, but he was the first President to leave such an extensive photographic record of himself, the earliest "great man" who was known well through the medium. Finally (with George Washington and Franklin Roosevelt) he was one of the three most important Presidents in United States history—and like it or not, portraits of important people have more (and more lasting) interest to viewers than portraits of more forgettable figures. Mathew Brady, for whom Gardner worked in 1863 when this picture was taken, usually posed Lincoln in 3/4 profile. 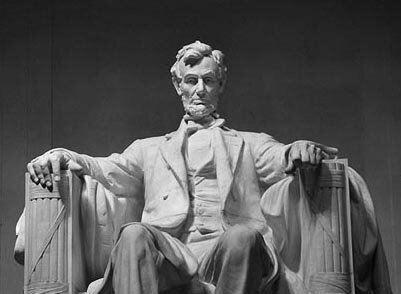 Gardner's picture, which was one of the main references used by sculptor Daniel Chester French for the Lincoln Memorial statue on the Mall in Washington, D.C., is the only known portrait of Lincoln from straight on, looking at the camera. There's no artifice about it anywhere: it's just a frank, plain picture of a man, forthright and direct. The wet-collodion glass-plate negative of this picture is now in the collection of the Indiana Historical Society (although the fact is somewhat "outside" of the traditional Lincoln legend, he spent his formative years in Indiana, from age seven to 21). It's a surprisingly modest little object. There can be little doubt that Lincoln, who was one of the most intelligent men ever to be President, surely was the first U.S. President to grasp the modern idea of "the media" in that he knew the value of his photograph as publicity, and of publicity to his leadership and his reputation. The many portraits made of him helped popularize him and even had a mythologizing effect. But still, there is something I find endearing about all those portraits. Lincoln was a depressive and a supreme realist—yet I can't help but feel, in the plain fact of his willingness to sit to have his portrait made so many times, that he was also just a bit vain. It's difficult to keep in mind now, but he was human, after all. 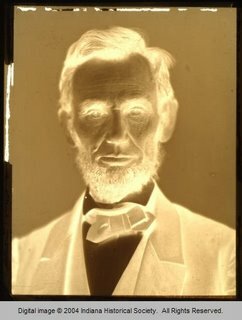 I've always preferred the "Cracked Plate" portrait of Lincoln by Gardner. Washington, Lincoln and FDR? What, Thomas Jefferson doesn't make the top 3? In any event, I'm noticing that the TOP Ten is turning into something a little different from what i expected. I at first thought the 10 photos would be those that were the most influential on the art of photography (and art in general). Some of them seem this way (Weston's pepper, Marilyn Monroe, Arbus' twins), while others seem to be going in a different direction. This latter set (Tiennamen square and the current portrait of Lincoln, for example) seems to be picking out photos that are important for their social and political impact. These photos seem to be important less as art, and more as demonstrations of the importance photography has in documenting our lives. I guess it just goes to show that there is more than one way to define "greatest." with Safari your black type on a brown textured background just isn't readable . . . . what happened ? After several months of shooting straight forward 8x10 and 4x5 film portraits I am continually amazed at how the best 19th-century portraits are still far and away technically and asthetically better than what I can produce today, using all of the latest technology. I can make pictures easier. But not any better. 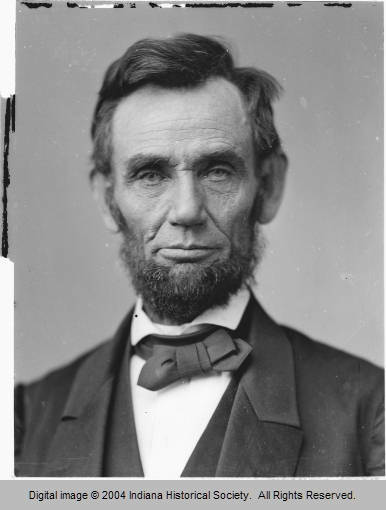 In terms of artifice, IIRC it was Brady who realized that it was more appealing to pull Lincoln's collar up (as in this one) to hide a less-than-appealing neck. "Washington, Lincoln and FDR? What, Thomas Jefferson doesn't make the top 3?" Speaking personally Jefferson would probably make my list of the top three Americans--as well as top three individuals of the 18th century--but not the top three Presidents. I don't think it was necessarily as President that his greatest contribution was made. Of course if anyone disagrees, I'm cool with that. I wonder if Gardner's gravure print of Lincoln was retouched. Not just because it has that "retouched" painterly feel but because you can seem to see thicker strokes (hair, ears) and more defined areas that aren't defined in the negative. Did you find out anything about this? I think this is a great choice. Ranks up there with J.M. Cameron's portraits of Herschel and Tennyson. Re earlier comment on social and political impact - I think this top 10 list has turned out to be very interesting. Certainly they aren't claimed to be the best 10 'artistic' photos of all time, but it gets one thinking about the impact of photography. Among my own favorite photos are the ones NASA took from the Voyager missions in the 1970s. When I saw those as a kid, I thought "Wow, these places exist, and humans have now recorded them." Same way I reacted when I looked at other 70's stuff like Winogrand and Friedlander, or that Jazz photo featured earlier on here. It's the surprise involved about someone (or thing) being present at the scene. MJ said: "Speaking personally Jefferson would probably make my list of the top three Americans--as well as top three individuals of the 18th century--but not the top three Presidents. I don't think it was necessarily as President that his greatest contribution was made. Of course if anyone disagrees, I'm cool with that." If memory serves, Jefferson's headstone describes him as "author of the Declaration of American Independence, Virginia Statute of Religious Freedom, and Father of the University of Virginia". So even Jefferson didn't consider his Presidency as one of his top three acheivements. I can't help but think Timothy Greenfield-Sanders when I see this. Somehow it's proof that the basics never go out of style.